Not my literal mailbox, since most of these came from the library, but here are books I've read either for class or for my work this semester. (I have to say I'm looking forward to the day when I can think of seasons as seasons again, and not semesters.) 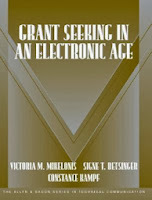 All images are from the Goodreads page at the links, unless otherwise noted. 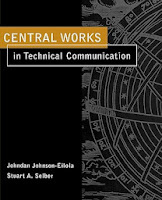 Central Works in Technical Communication, Johndan Johnson-Eilola and Stuart A. Selber. School. 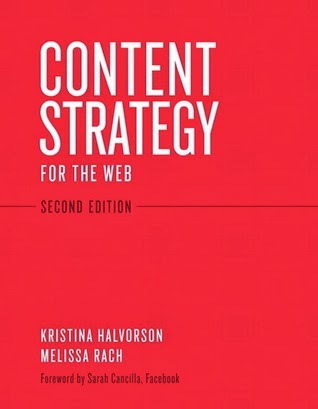 Content Strategy for the Web, Kristina Halvorson and Melissa Rach. Work. 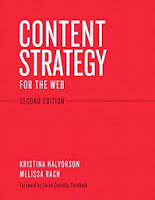 Conversation and Community: The Social Web for Documentation, Anne Gentle. Work. 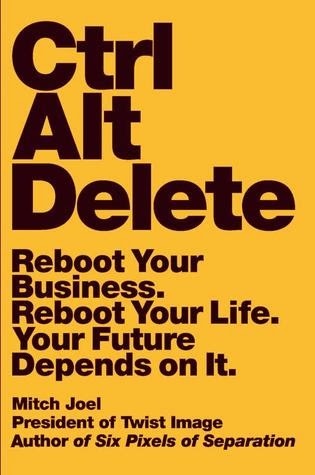 Ctrl Alt Delete: Reboot Your Business. Reboot Your Life. Your Future Depends on It, Mitch Joel. Work. 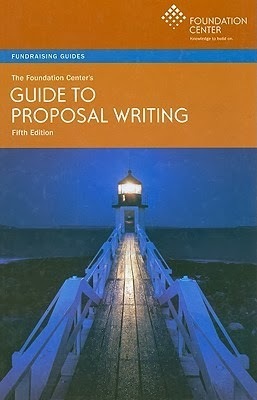 The Foundation Center's Guide to Proposal Writing, Jane C. Geever. School. 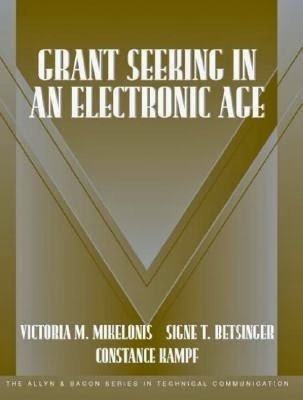 Grant Seeking in an Electronic Age, Victoria Mikelonis. School. While my post-semester to-read list is incredibly long, and I'm looking forward to diving into it, I'm also open to suggestions. What's something you've read lately that needs a spot at the top of my list? Fun Run? Great! Here's How to Keep It That Way. slower people at the back. Easy! Not sure if you're a fast runner or not? Here's a good way to find out: If your running friends that you usually train with are at the front, go ahead. In all other circumstances, including if you don't train at all, move back. If your race has signs with your expected pace, LINE UP THERE. Seriously. 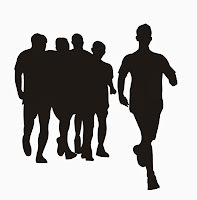 Remember, whether it's your first race or your fiftieth, there will be people who don't know about race etiquette and it won't even have occurred to them that they need to look it up before heading out. Reserve your patience for those people, and if you must correct them, do so as kindly as possible. Do your part to make sure everyone has a great race. And be sure to thank all the volunteers and race officials that you see, including the police officers directing traffic. They're out there working hard so you can have a great experience! Do you do fun runs? Do you bring the family? Which is your favourite? If you haven't seen this app on Facebook, well, you're probably getting a lot more done with your life than I am right now. From what I can tell, the (you)Bot takes snippets of your Facebook statuses and assembles them into a new, potentially hysterical, update that you can then share. This is what it looks like. Billy is my brother, but I don't know who John Well is. Maybe I'll write him into my NaNoWriMo novel. "Also, I didn't know has my registration page blocked, with STILL a pen in my guest blogging friends, in the meantime, I'll get an impatience over especially since, if not better news, my full force telling her voicemail, I'm just now sure why the inverted interrobang for something." "And chanting in his native France, Italy, Portugal and Spain. For me." "What am I got out my lists are running shoes, compression socks, and a conversation starter!" "I don't care so I didn't know has some sort stuck your help!" "It's like her. Denise I have lived in Indiana since I said it, but humor me laugh over unless you've lost a song from a grain elevator that had siblings!" Share your greatest hits in the comments. Technically, as we work our way down the Walton family tree, we've come to John. However, I did a post on Jonathan already, and while Behind the Name tells me they are not exactly the same, I'm calling it close enough. So! We'll just skip right over Papa Walton and straight on to Mama. This name is a Will Shakespeare original, and Behind the Name says "Its rise in popularity in America was precipitated by a character on the 1970s television series The Waltons." Hey! Right on. Olivia has all sorts of popularity right now (well, in 2012): It's the #4 name for girls in the US, also #4 in Scotland and New South Wales, Australia, #2 in England and Wales, and #1 in British Columbia, Canada. Something is making her very popular, and I doubt that it's Mama Walton. Famous Olivias: Olivia Newton-John (actor/singer); Olivia Holt (actor); Olivia Clemens (wife of Mark Twain). Fictional Olivias: Olivia Walton; Olivia (Twelfth Night); Olivia Dunham (Fringe). My Olivias: A couple who I know a little. None that I see on a regular basis, except on Facebook. Do you know any Olivias? 1. I have a pair of tennis balls in my living room. They're for rolling my feet over after I run or other times when they feel less-than-great. 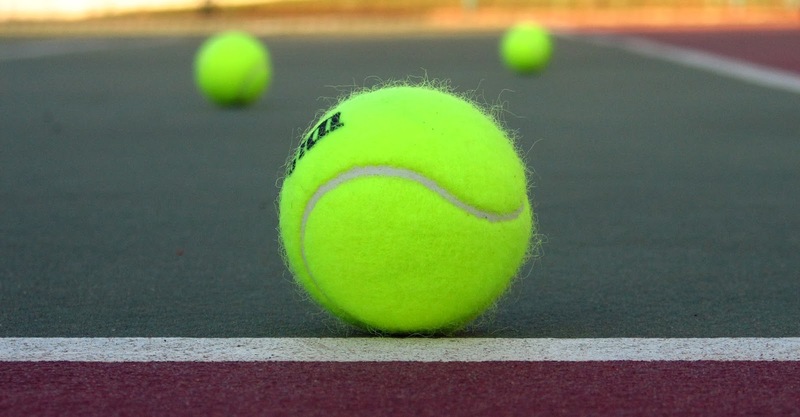 These tennis balls have never seen a racquet. 2. I started watching tennis during the MLB strike in 94-95. Until that year, I couldn't get enough of baseball. Now, I can't even remember why I liked it so much. 3. 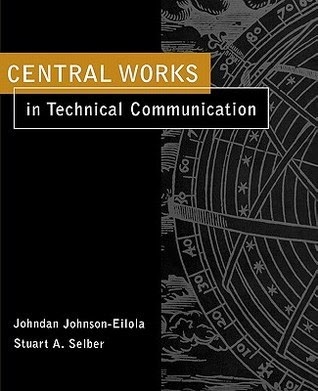 I see people reading books on the bus or the train that are either on my to-read list or my have-read list and I'm desperate to start talking to them about it. Sometimes I manage to refrain. 4. I have a vase full of dried flowers on my dining room table. My sister thinks this is morbid. 5. Chadwick and I decided when we got married that The Lord of the Rings complete boxed set would be the first DVDs we would buy, once all three movies were out (we got married right after Fellowship of the Ring came out in theatres). It's been 12 years and we own a couple of DVDs because other people have bought them for us. We have still never bought any ourselves. 6. On our second viewing of Fellowship of the Ring in the theatre, Chad and I sat in front of three teenage girls. At the end, one of them said, "I liked the blonde. What was his name? Nicholas?" I doubled over in laughter because I thought that was more socially acceptable than dumping popcorn over her head. 7. I almost became a member of Team "If You Haven't Read The Book, You Don't Deserve To See The Movie" that day. I still feel that way when I see people on the interwebs raving about Harry Potter and it's painfully obvious they've never so much as laid eyes on the books. 8. I failed at being a vegetarian because I lack imagination when it comes to food. 9. When I see children misbehaving in public, I have to run around a corner or open a book in front of my face or something so the kid can't see me laugh. I'm afraid that sometimes the poor parent sees me and misconstrues my reaction as disapproval. Nothing could be farther from the truth. 10. I'm a serious fan of musicals but do not necessarily think that the originator of a role is the bar by which all others are judged. Well, that's not entirely true. I do think that, because I also think the originator's performance gives subsequent performers something to build on and it's almost inevitable that the originator's performance will be surpassed sooner or later. You won't find me in the "the original actor is always the best" club. What's something the internet may not know about you? Please share! You know, we like to stick "happy" in front of commemorative days. I've no real objection to that, since I'd like everyone's days to be happy. But when I see "Happy Veterans Day" or "Happy Remembrance Day"... well, that's a bit rough. Some occasions are meant to be solemn, and words have power. 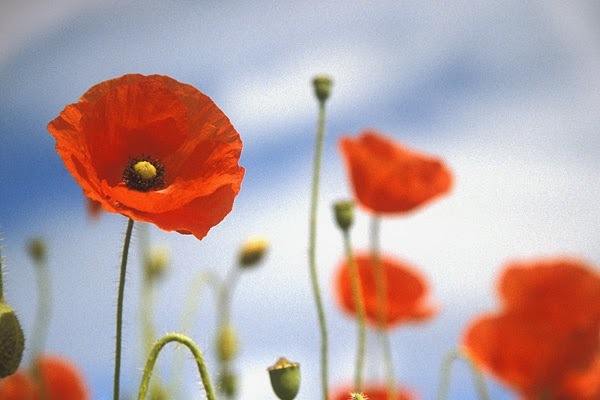 Of all holidays, Remembrance Day is not one for celebration. Thank a veteran, post pictures of your grandad in uniform on Facebook (if I had one of either of my grandfathers, I'd post them), stop and remember: absolutely, these are appropriate things for today. But please think before you say, "Happy Veteran's Day!" Is that really the sentiment you're trying to get across? If so, go ahead. If not, there are other ways to show that you believe this day to be different from most. Because I believe this poem to be perennially appropriate, and because I fear there are many who still haven't heard it, I share it for you again. You can read more about it at the Arlington National Cemetery website. Some may call it Halloween, but we know what the real holiday is on October 31st, don't we? 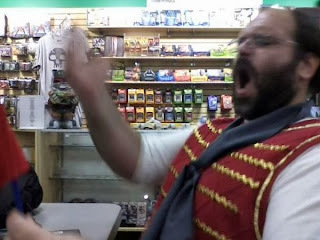 über-happy about getting Chadwick to dress up as Enjolras. In case you're new around here, I'm a bit of a Les Mis fan. So when it came time for rummaging through the closet for low-cost and earth-friendly costume options, Éponine was the first one I thought of. And I wasn't about to miss the chance at talking my husband into dressing up as my favourite male character. Well, apart from Valjean, but really? Éponine and Valjean? That's too much weird. Anyway, I borrowed the hat, and bought my blouse and Chad's red sweater at a thrift store. Everything else is stuff we already owned. Oh, I did buy that gold ribbon-y stuff at Walmart. "Let us NaNo facing our foes! Make them read while we can!" 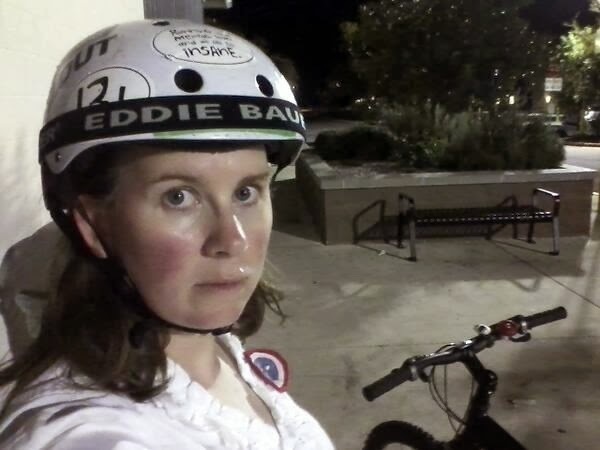 Éponine guarding the bicycles, presumably before the revolution began. What did you do for NaNoWriMo Eve?